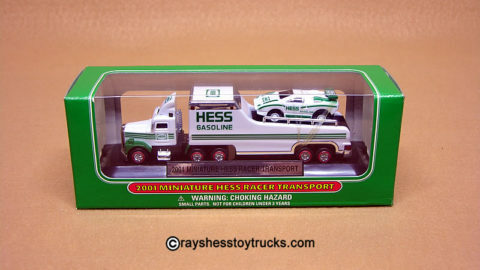 Complete with truck, box and all packing. 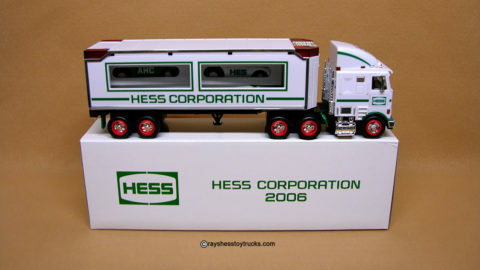 The truck measures approximately 16″ in length. 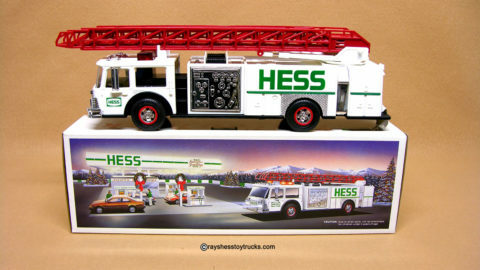 While Hess has created fire trucks in the past, the 2000 Fire Truck is a modern marvel. The “hydraulic” ladder extends to 3-times its size, rotates 360 degrees, and makes a ratcheting sound. The side ladders snap off and can be joined to make one long ladder. 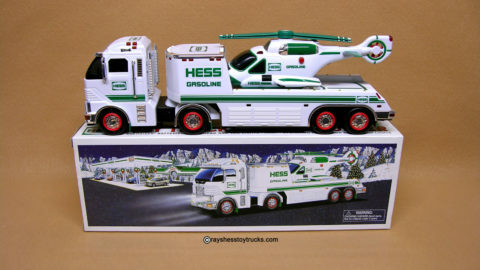 The truck includes stabilizers that snap down and lock, horns and sirens, and 16 working lights that can flash or glow steady. 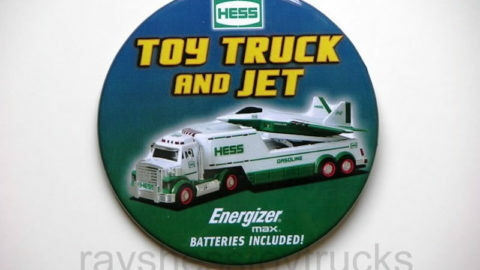 The lights work in tandem with the sounds. The battery compartment is clean and all the lights are in working order. The box is also mint with bright graphics and complete with all packing. 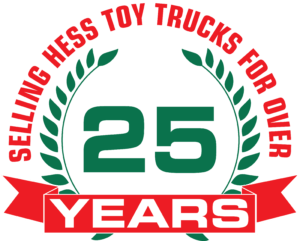 The truck measures approximately 16″ in length.